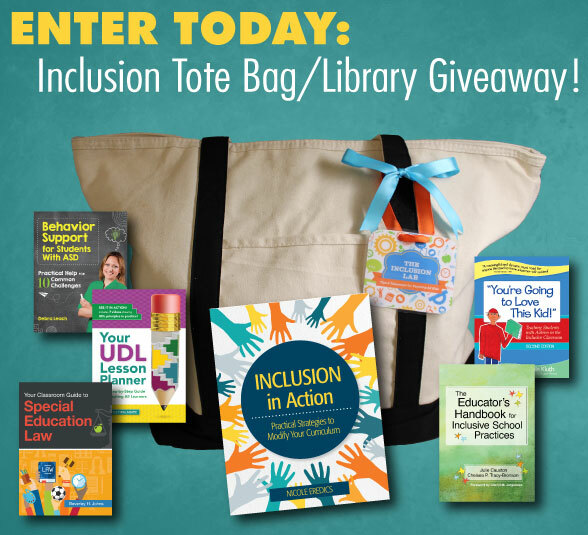 ENTER TODAY: Inclusion Tote Bag/Library Giveaway! If you’ve been on the Inclusion Lab this month, you know we’ve been celebrating the release of Nicole Eredics’ Inclusion in Action, one of our most highly anticipated new books. It’s been an exciting month–we’re thrilled with the amazing response to the book on social media, from happy teacher feedback to reader selfies. (If your copy of the book has already arrived, snap your own selfie and share it on Twitter with the hashtag #modbook.) We were also honored to host Nicole for a Q&A on inclusion, which you can read right here if you missed it. 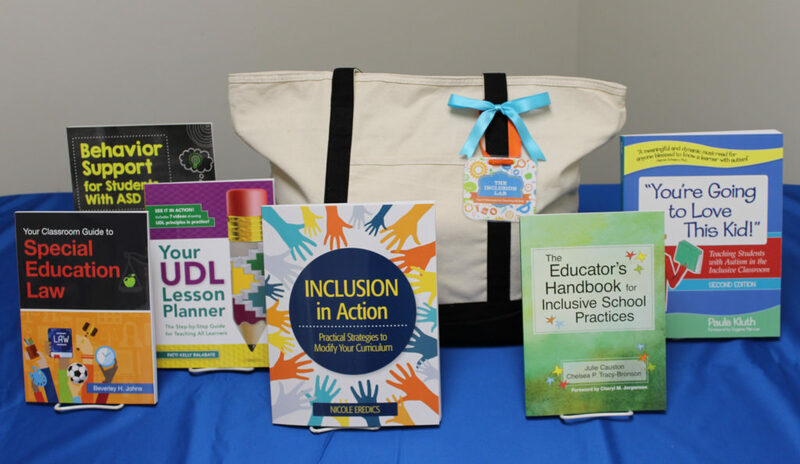 As the month winds down, here’s one more reason to celebrate: We’re giving away THREE mini-libraries of some of our most popular inclusion books, each library packed in a sturdy zippered tote bag (“˜cause let’s be real, teachers can never have too many tote bags). Good luck (and if you don’t win this week, you can try again next month, during our special Teacher Appreciation Week giveaway)! Winners, we’ll be in touch with you to get your addresses and send you your books and tote bag. Congratulations, and enjoy your prizes! Thanks to EVERYONE who entered–and just a reminder that you can try for a win again on May 8th, when we give away another tote/mini-library set in honor of Teacher Appreciation Week. Such an important topic for all educators!! Count me in please ! What an amazing give away! Thanks for doing this wonderful giveaway!